FREE Design Printed Banners - Our design team are waiting to help. FREE UK Mainland Delivery with two PVC Banners! 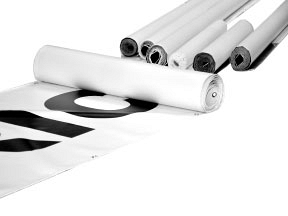 Our Standard vinyl banner material is a high quality 550gsm base material designed specifically for printed banners. Won't Rip - Can't Rip! How we do 550gsm printed banners so cheap - We have our own PVC banner material made specifically for us to our own specification, we are therefore saving the distributers mark-up and delivery charges. This also means we have tight quality control, a better weight product at a better price and always carry a large stock, we believe we can offer you printed banners at the best prices, even on the 550gsm PVC..! 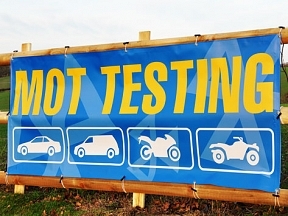 Resilient and Reusable, PVC banners are a great way of getting your business or promotion across! Our HFE PVC Banners are available to order online 24/7 and if you complete your order by 11am (weekdays) you will get a same day dispatch (next day PVC banners). Suitable for both inside and outside use, PVC banners are a cheap way to advertise your company and message to passers-by. Traditionally PVC Banners were made by applying coloured cut vinyl onto the surface of the banner material, these were often referred to as Vinyl Banners. Vinyl banners were time consuming to make as they required a lot of measuring and obviously the more detail the longer they took to make, another issue with vinyl banners was people could (and often would!) pick the lettering or detail off. As technology improved and inks became more durable with greater colour depth, banner printing soon became a much more efficient way of making PVC Banners. UV stable inks and higher speed printers made banner printing a much speedier and efficient and this was the point when banners and general print became much cheaper. Choose from Full Colour or Mono, with the Mono Banner option saving you more off the colour banner prices. 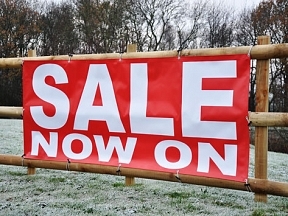 To find cheap banners and our special offers click (PVC Most Popular) and from the options choose 'Mono (Black Text Only)'. At HFE Signs we constantly review our banner printing prices and listen to feedback from our customers, this feedback helps us to provide the best and most cost effective way of tailor making your PVC banners to suit your budget. 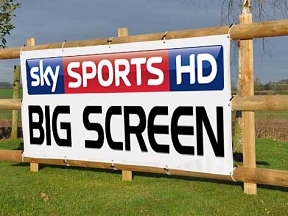 We understand that cheap banners are often good enough for a short term promotion, our solution for cheap banners still give a fantastic and durable outdoor option with durable print but still provide you with a solution for cheap printed banners. If you would like to collect your banner, and your order is completed before 11am, then you can have your PVC banner the same day! We simply ask that you make us aware at the point of order. If you're looking for quality, you've come to the right place. All of our PVC Banners are printed at 1440dpi with slow scan speed and high passes. All of our printers run on full solvent inks to provide the best durability for UV protection. With over 20 years of experience manufacturing signs & banners we're sure you'll be satisfied with the quality and outstanding service we pride ourselves with. Our Trustpilot reviews validate our claims for value, service and quality print. Why buy PVC banners from HFE Signs? All our PVC banners are printed at high resolution of 1440dpi for quality print. Our PVC Banner come with Hem and eyelets on all sides as standard. High Quality 550gsm banner material for strength & durability. Printed with full solvent UV stable waterproof inks for maximum life. A Flat sealed hem prevents the hem filling with water and drooping. 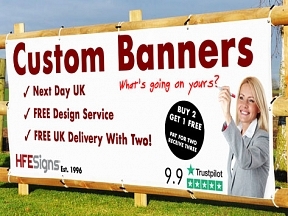 FREE nationwide delivery with 2 banners, any sizes, any artwork. Complete your order by 11am for same day dispatch. Exclusive to HFE Signs - Online design & order application for banners. We are only a phone call away for help, support, sales & advice. No answer systems or phone menus, you’ll be straight through to an experienced member of the HFE sales and design team! And remember we've been banner printing since 1996 so whatever your question, we're confident we can help. If you are located close by, you are more than welcome to collect your printed banner same day! We have customers in a hurry coming to collect regularly from Derby, Birmingham, Nottingham and even Manchester! Based just outside Burton on Trent we are close to the A50 between Derby and Uttoxeter, with fast access to Nottingham. If you would like this service, you need to confirm your banner artwork by 11am and let us know at point of order you wish to collect same day. Does banner printing give a better result than vinyl? Banner printing is a technology that has been around for a while now, previously banners were made by applying vinyl onto the banner base material, this was time consuming and the cost of vinyl banners was dependant on the detail. Banner printing is a far superior technology and there is no limit to what you can have printed onto your PVC Banners, colours, images, logo’s and photographs and the best thing is the price doesn’t change. HFE were one of the first companies to offer bespoke banner printing by mail order back in 1996, and prior to this HFE were offering vinyl banners using the older methods. In answer to the question, banner printing is both better and cheaper, the digital print is far more accurate, the colour range is limitless and the production speed and cost is also vastly improved!